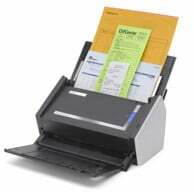 One of the key technologies for your small business is a good document scanner. 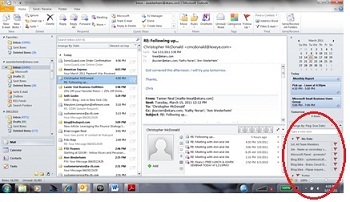 Getting all your paper into electronic format is big step for getting organized. If you're ready to go paperless, there's a lot to know so you can pick the right scanner for your business. Document scanners can range in price from under $100 to thousands of dollars, so its worth knowing a few things before you start shopping. 1. Flatbed vs Document Handler. Decide what kind of scanner you need. Flatbed scanners have a glass plate and a lid, and document handlers have a feeder mechanism to load the paper, many sheets at at time. Many scanners have both capabilities. 2. Speed. Look for how many pages per minute the scanner can handle. You'll pay more for faster scanners, but if you plan to work with large volumes of paper, you'll need the speed. 3. One-sided vs Two-sided. Can the scanner handle two-sided scanning or do you need to scan the back of pages separately? This is also referred to as simplex vs duplex. 4. Print / Copy / Fax? Does the scanner need to perform these other functions? In many cases, the best solution is a dedicated scanner, but if you have tight space in your office, you may want to look for a combination unit. If you're looking for a multifunction unit, consider if you need color printing. 5. Maximum Paper Size. What is the largest paper size you need to handle? Look for the maximum paper size - standard letter size (8.5"x11"), legal (8.5"x14"), or larger sizes (11"x17"). 6. Resolution. Each scanner scans at a certain number of dots per inch (dpi). For regular documents, 600dpi is fine, but you may need higher resolution if you work with photos. 7. Network Connectivity. Do you need just one computer to have access to the scanner or will you need networking capability to multiple computers? 8. Software Capabilities. With optical recognition software the scanner can save a machine generated document as an Word or text file that you can later edit, saving a lot of time. Plan ahead, learn what the features mean, and you'll be happy with your purchase. For 2015 and later, penalties will apply in the form of a payment adjustments for those who don't meet meaningful use requirements. At the heart of the Incentive program is the requirement to demonstrate "Meaningful use". In simple terms, this means that providers need to show they're using certified EHR technology in ways that can be measured significantly in quality and in quantity. Specifically, for eligible professionals, there are a total of 25 meaningful use objectives. To qualify for an incentive payment, 20 of these 25 objectives must be met. There are 15 required core objectives. The remaining 5 objectives may be chosen from the list of 10 menu set objectives. Requirements include generating electronic medical prescription orders, maintaining an up to date problem list, recording patient demographics, maintaining a medical allergy list, recording vital signs, etc. The meaningful use requirements are described in detail on the Department of Health and Human Services web site: Meaningful Use Requirements.